Organic farming in india is increasing day by day why!! Home Uncategorized Why organic farming is in trend now days? Why organic farming is in trend now days? No ratings yet. Organic farming in india is a new craze now days.As we all know negative effects of pesticide and insecticide infested produce over the years; now days there is a trend towards organic farming .it is important to switch to organic food. What is the organic food? “Organic “refers to a way in which agricultural products are grown and processed.Free from synthetic pesticides, bioengineered genes, sewage sludge-based fertilizers, and petroleum-based fertilizers, organic produce is healthy and poses no health risks. Grown naturally with compost or manure, it is rich in antioxidants. Compared to its adulterated counterparts, organic food has a positive impact on the mental and emotional health of a person. 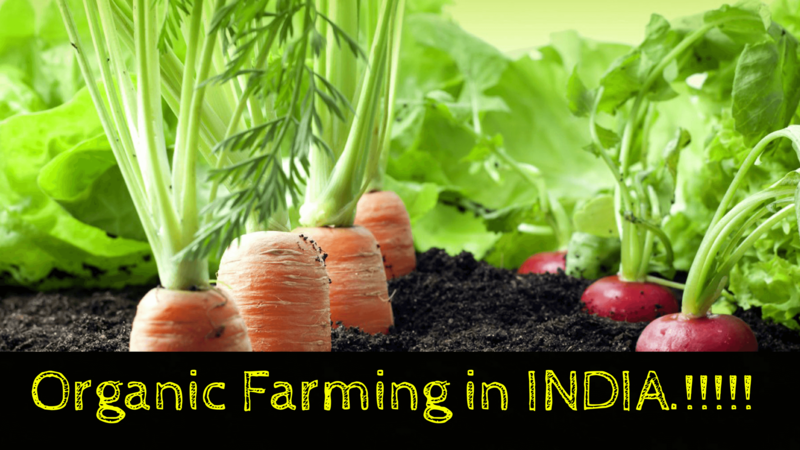 How demand of organic farming in india is raising? The initial demand for organic food in India started when there were reports of pesticide residue in fruits and vegetables. Later, the popularity extended to pulses, seeds and spices as well. However, a majority of people still use produce grown in the conventional manner. It is crucial to understand the adverse effects that these foods have. Stomach infections or symptoms related to allergies, which are common with conventional food; seem to go away as soon as people start consuming organic food. No pesticides: Organic food is grown using natural pesticides. The absence of chemicals, such as fungicides, herbicides and insecticides makes it healthy and beneficial for the body. Fresh: Since there are no preservatives added to make it last longer, the produce you buy is fresh. 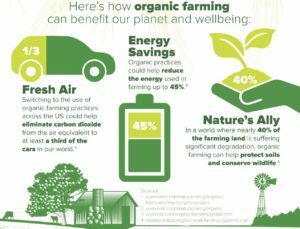 Better for the environment: Owing to the fact that organic farming uses environment-friendly material, it does not harm the ecosystem. In fact, it helps in reducing pollution, reducing soil erosion, conserving water and increasing the fertility of soil. Looking at the benefits and rising awareness, India is witnessing a surge in the demand for organic food. Multiple companies are coming up with organic food options in the market. Whole Foods is one of the biggest vendors of organic produce, along with other vendors, such as Organic Garden, Farm2Kitchen and more. A gradual shift in the organic food usage paradigm is slowly taking shape. According to a research by The Economic Times, the demand for food is likely to increase by 25 per cent till 2021. With the life-threatening diseases that non-organic food can cause, it is only a matter of time that organic food replaces conventional food entirely. Gully Boy Ranveer Singh Colored outfits and unique promotion is giving us some majour goal of positivity and enthusiasm.